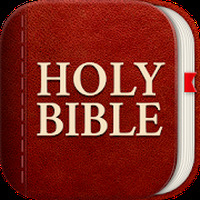 "Read a new verse everyday with this free Bible app"
Game Goal: A digital version of King Jacob's Bible with which you can enjoy a daily verse accompanied by an image to help you in your prayers. Functions: You can elaborate on each verse by putting them in context within the capthers of the Bible. See your statistic of usage and readings. Activities: You can browse through the chapters of the Bible and bookmark your favorite verses. Share them with your friends on social media and messaging apps. Rating: The TOP 1 Most popular Apps in Bible Quotes category.